One in a series of posts about children's classic books available for borrowing from our school library. The Asterix books are a popular series of comic books which follow the exploits of a village of ancient Gauls as they resist Roman occupation. Asterix, along with his friend Obelix have many adventures, some in and around their village but other stories see them traveling to various countries around the world. 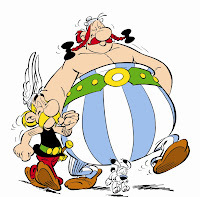 Asterix, written by Rene Goscinny and illustrated by Albert Uderzo, began as a comic strip in the first issue of the french magazine Pilote in 1959. 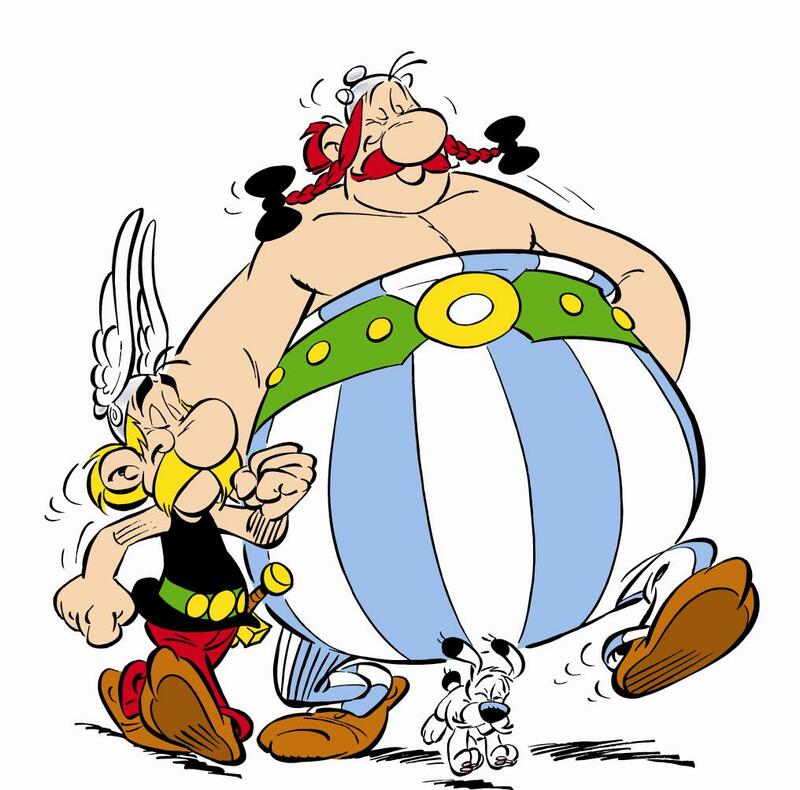 The first Asterix book Asterix the Gaul was published in 1961, followed by one or two books each year until 1976. In 1977 Rene Goscinny died suddenly and from then on Albert Uderzo continued the adventures of Asterix alone. Currently there are 34 Asterix books (you can see them all here) the last was published in 2009 to celebrate Asterix and Obelix's 50th Birthday. We have a number of Asterix titles available for borrowing in the Mature Picture books, also a compendium with three stories in the Fiction section. Upper Hutt Public Library has many Asterix books available in the Comics section, and a movie in the Children's DVD section. You can find out more about Rene Goscinny and Albert Uderzo here. The above information has been adapted from here and here.